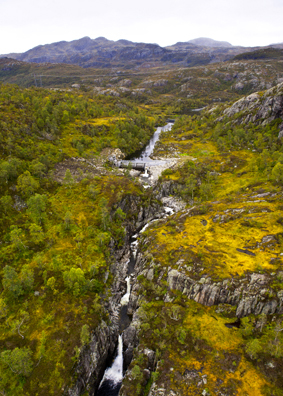 Sønnå makes extensive efforts to keep its environmental impact negligible and minimise impact on surrounding landscape and ecology due to production of hydropower. 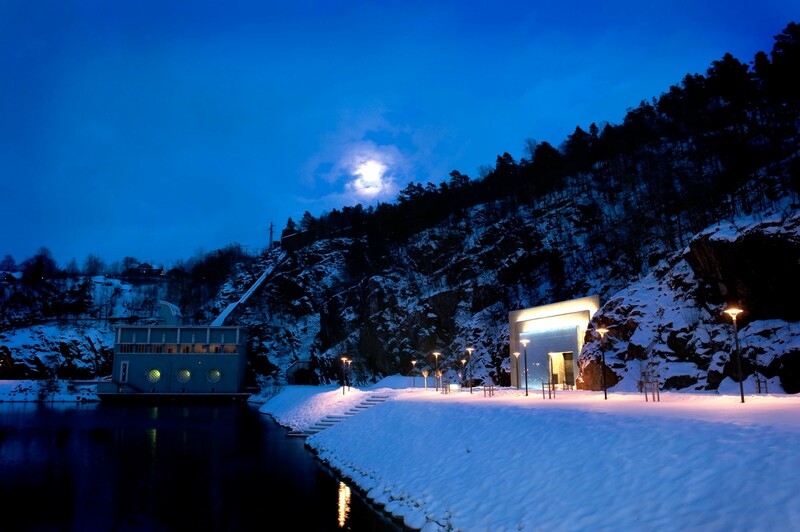 Sønnå is a modern hydro powerplant located in Sauda commune in the south-western region of Norway. 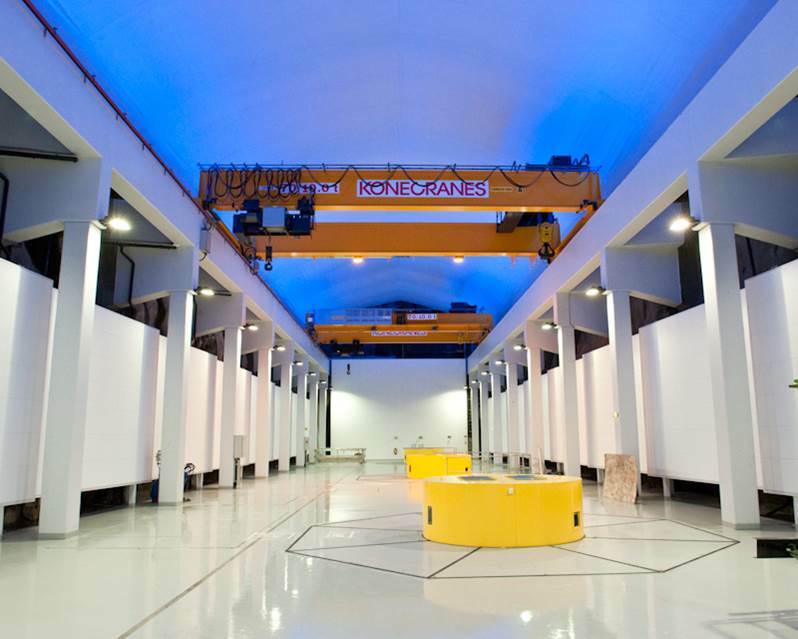 Commisioned in 2009, Sønnå is the newest plant among a wider cluster of power plants owned by Saudefaldene. It consists of two generating stations (Sønnå high and Sønnå low) with a combined production capacity of 1345 GW of renewable energy. The environmental footprint of the plant is negligible and extensive efforts are undertaken to ensure minimal impact to surrounding landscape and ecology. Sønnå has a unique architectural design as it is situated a kilometer deep inside a cavern in Sauda fjord. 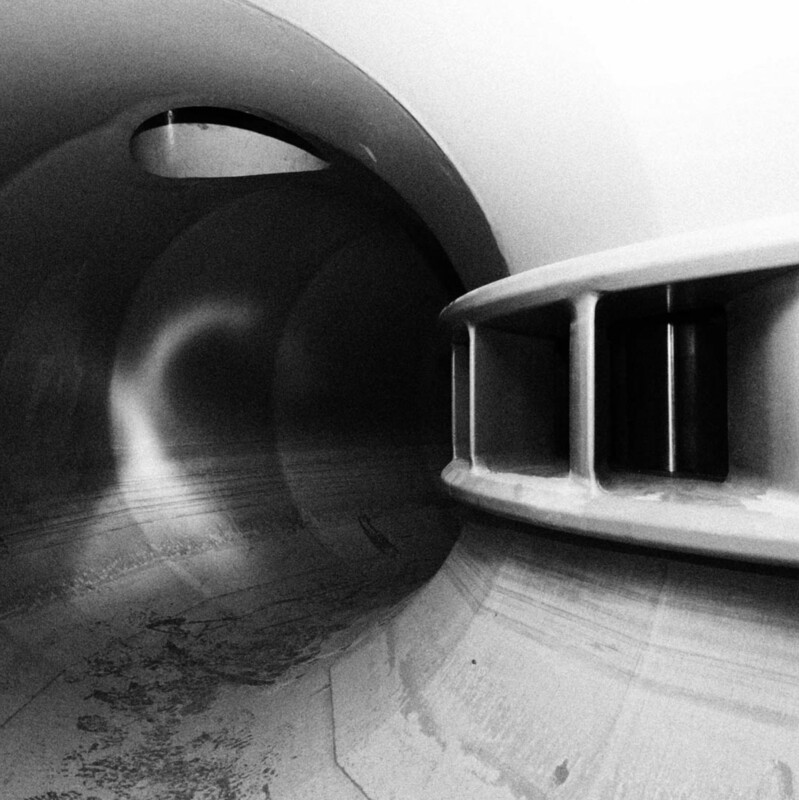 As a result, the powerplant integrates seamlessly with the surrounding nature and is virtually invisible to the eye when viewed from outside (with the exception of the entrance area as seen in the image above). 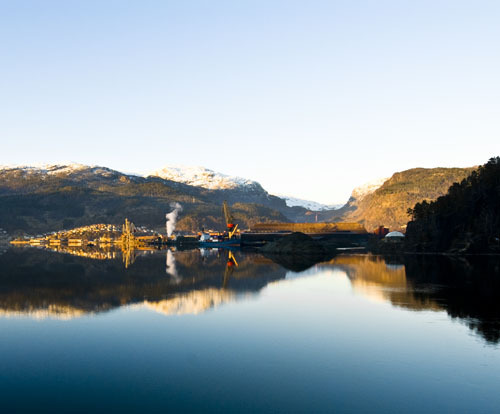 As part of the construction for Sønnå, 34 kms of tunnels and shafts were constructed inside the mountain to intake water from 8 different streams. Hence, no new dams, reservoirs or roads had to be constructed. Image: By taking advantage of the natural course of the landscape, water is collected from small river sources and led into tunnels with minimal concrete construction. 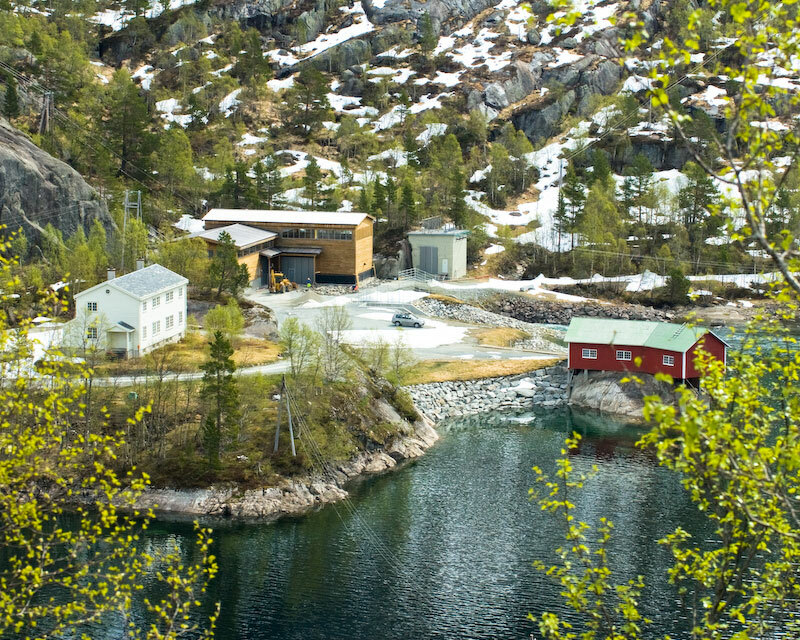 Any construction measures or landscape modifications undertaken at Saudefaldene are carried out within strict compliance guidelines set by the regional municipality and the Norwegian Water Resources and Energy (NVE) Directorate. These guidelines contain detailed specifications for land-use with clear boundaries for human encroachment and associated clean-up activities. The regulations also mandate that all man-made structures should be created in harmony with surrounding landscape and terrain. Additional measures are undertaken by Saudefaldene to ensure that any affected land area is rapidly restored for re-vegetation in order to cushion the impact of development and prevent soil erosion or immigration of native species. Hence, wood, stone and concrete are primarily used as dominant building materials in all types of construction projects. Sampling, analysis and fish counts were performed regularly throughout the development period, and formed the basis for the current action plan for establishing spawning areas. 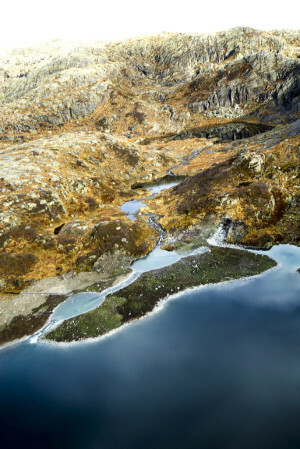 Since it was discovered that the surrounding water bodies are naturally poor spawning grounds for fish, Saudefaldene has facilitated the creation of spawning ponds by recycling the landscaping materials. Saudafaldene also finances re-stocking of fish in the river system every year. This initiative was conceived and led by Saudefaldene and has generated very positive results in terms of increasing the population of fish in the area. Saudefaldene was established over 100 years ago and since then it has provided a safe and stable workplace for many generations in the Sauda community. A Norwegian hymn says “slekt skal følge slekters gang” which roughly translates to generations follow what generations before them have started. This fits especially well in case of Saudefaldene, that has provided a safe and stable workplace for many generations in the last century. Many families have had several members on the company’s payroll and in some instances, multiple generations within the same family have followed their footsteps of their fathers and grandfathers to Saudefaldene. 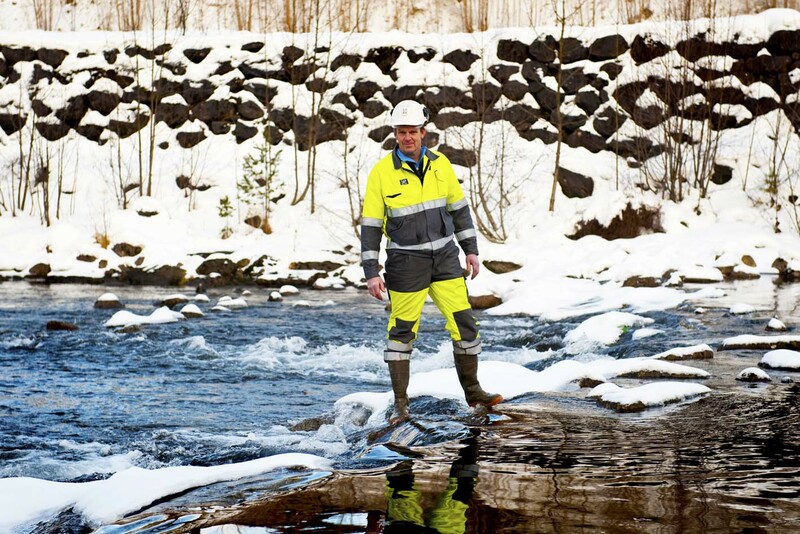 This story of the Nilsen grandfather, father, and son highlights the saga of one such family across three generations and is a strong and honest testimony to the working culture at Aktieselskabet Saudefaldene. The story starts back in 1922 when a young fisherman named Karl Teberg Nilsen arrived to Sauda from Sandstrand in Gråfjord in the county of Troms, way up in Northern Norway. A few years back, Karl had started feeling that fishing as a profession was rather risky and unsafe, and decided to enroll in a technical school in Oslo. After finishing school, he was hired by Saudafaldene to work in the operations department at Sauda II, a power station that has since been decommissioned. During his time at Sauda, Karl met a lovely young woman called Klara Brynjulfsen from Storehaugen. Karl and Klara got married, moved into a machinist housing and had four children together- Bergit, Karl, Rolf and Marta. Things started looking rosy for this little family concerning both work and family life. However, just as things were starting to look up, a tragic accident occurred in 1930 turned their lives upside-down. During a work incident at one of the powerplants, a boat capsized resulting in two men drowning to their deaths – one of them was Karl Teberg Nilsen. The family struggled but never gave up. As the two boys, Karl and Rolf came of age, both of them decided to work for Saudefaldene power plants. 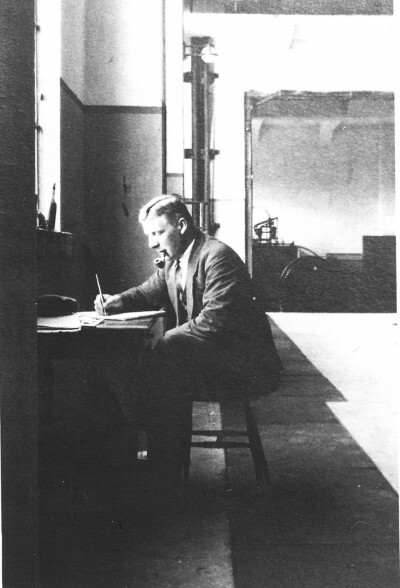 Rolf Nilsen, a second-generation Saudefaldene employee, served his whole career at Saudefaldene from 1948 to 1995. Starting off as a proud “roughneck” who completed countless dangerous missions and “dirty” jobs, Rolf Nilsen developed specialized skills and valuable experiences, which later lead him to become a leader for a road restoration project. 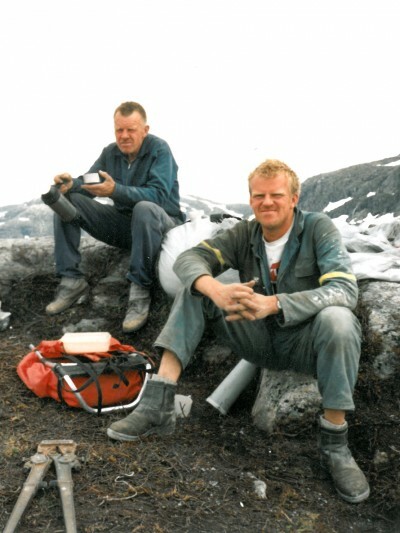 Helge Nilsen, son of Rolf Nilsen, also followed the footsteps of his grandfather and father by taking up a career with Saudafaldene. The highlight of his career was his engagement with the modernization and expansion of the Saude power plants. Helge devoted great passion to this project and saw its completion in 2010. Helge started his career with Saudafaldene in 1985 and worked with the company until recently in 2011, when he decided to pursue diverse challenges outside the company. The three Nilsen generations shared common spirits – pride in their profession and an innate, contagious joy that stems from doing what they love. Helge Nilsen has two daughters who have chosen to study and work close to the area that the three generations have worked in: One of the daughters is working as a political scientist at NVE; the other has recently finished her education as a civil engineer and has worked at several construction plants. Whether this will lead to a fourth generation of Nilsen working for Saudefaldene, remains to be seen in the future. 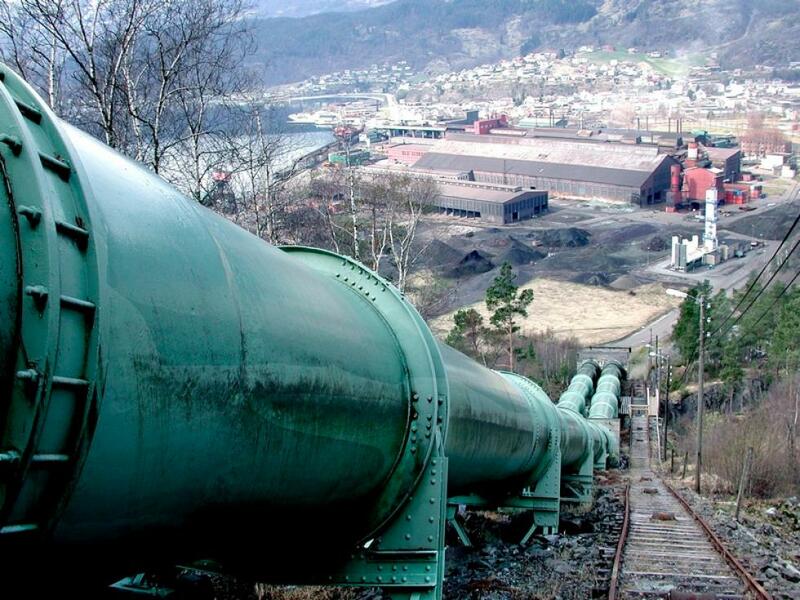 The powerplant at Saudefaldene was founded in 1913 - more than 100 years ago. Browse through the image gallery to take a glimpse through the plant's history. The hydropower development in Sauda has contributed to a positive development for the local community in a century. 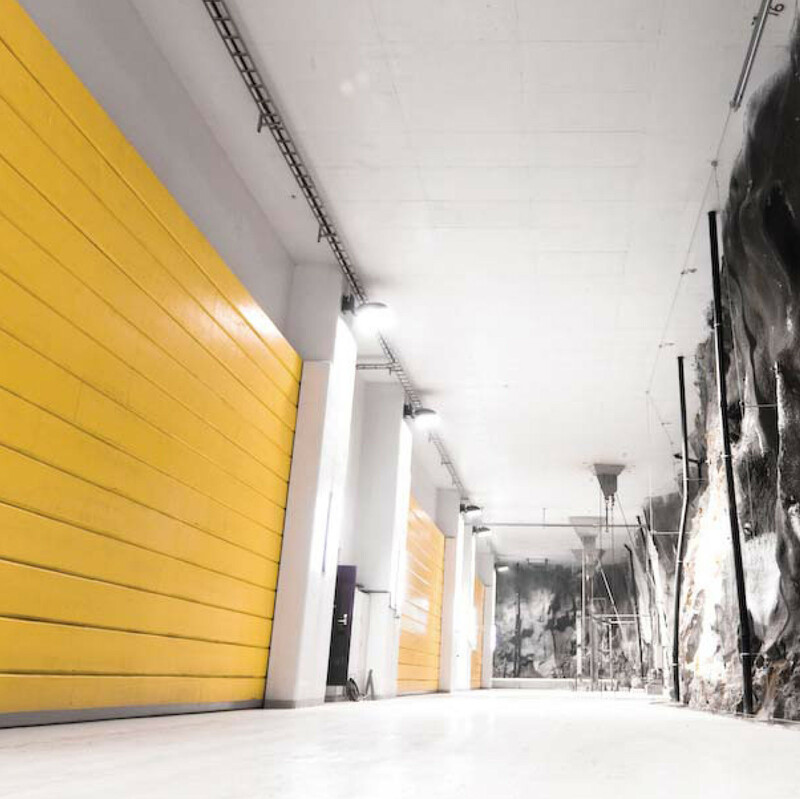 The rubble generated as a result of excavation of tunnels for Sønnå was utilized for innovative and charitable purposes instead of being dumped in a landfill. A part of the resulting rock mass was leveled and covered with fine sediment and fertile soil to create a well-tended farmland. The remainder of rock and ballast was used for building roads and other community projects. Approximately 100 000 m³ of stone was utilized to support the construction of communal sports facilities such as a ski slope, golf course, a bicycle path, and creating a noise reducing barrier around the motocross track in the area.